This recipe is the perfect little treat for anyone who wants a sweet treat, yet wants it to be vegan! We all love cookie dough – it’s such an amazing little thing to munch on, add to desserts, ice cream or even top your smoothie bowls with! This recipe is super easy to make, only takes 5 minutes to prep and cook 20-25 minutes! The serving is for 4 people so it’s perfect if you want to share with your friends or family! 1. Preheat oven to 180C and greaseproof a small, deep dish. 2. In a processor, add all the cookie dough ingredients, bar the cacao nibs and blitz until mixed. 3. In a mixing bowl add the mixture, along with the cacao nibs and fold them in. 4. Spread the mixture out evenly into your dish. 5. Cook in the oven for 20-25 minutes and serve still warm. 6. Chocolate drizzle – Simply heat the ingredients on the hob on a low heat, stirring constantly until combined. 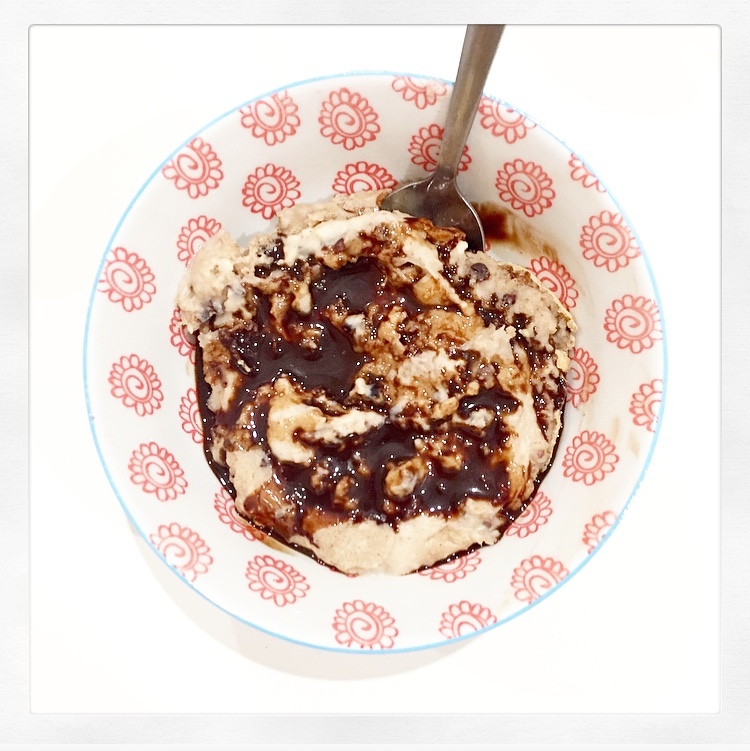 This should only take a minute or two and then drizzle onto your cookie dough.